The kit came with 7 cleansing wipes and I think that is perfect for a starter kit. For an entire week you can watch how your skin react to the wipes and see if it is right for you. These cleaning wipes were very soft and left my face feeling clean and also feel as though I added moisturizer to my face. It really wiped all of the makeup off my face. The pores around my nose are always the hardest to get cleaned and I normally go through several wipes before getting all of the makeup off. However I only needed one wipe for my entire face. The smell is light and not overwhelming. Most of all its not packed with harsh chemicals that irritates your skin. Wipes always tend to leave my skin feeling hard, itchy and irritated. I will definitely buy a pack of these wipes for myself. This Simple Moisturizing Face Wash is the best thing since slice bread if you have sensitive skin. I love gentle cleansers that really clean your face without drying it out. Nobody likes a dry and hard crocodile face. It does not lather a great deal but don't be fooled, this bad boy really cleans deep down into your pores. I am left with a clean face with each use and I just love it. A little goes a very long way with this replenishing rich moisturizer. It's very light in consistency but leave your skin soft and supple. I have eczema and so my skin tend to be very dry even after using moisturizer and also tend to be irritated by most moisturizers and creams. This moisturizer, though light in consistency, was able to leave me with supple skin. All dry patches on my face were instantly disappeared after using this. I keep this in my makeup bag and carry with me daily. Absolutely a staple. Overall, I loved these products and plan to buy full size version of these Simple Sensitive Skin Expert products once I finish the bottles. I know some pharmacies such as Rite Aid and Walmart sell some of these products. I can't wait to try other product lines from Simple. 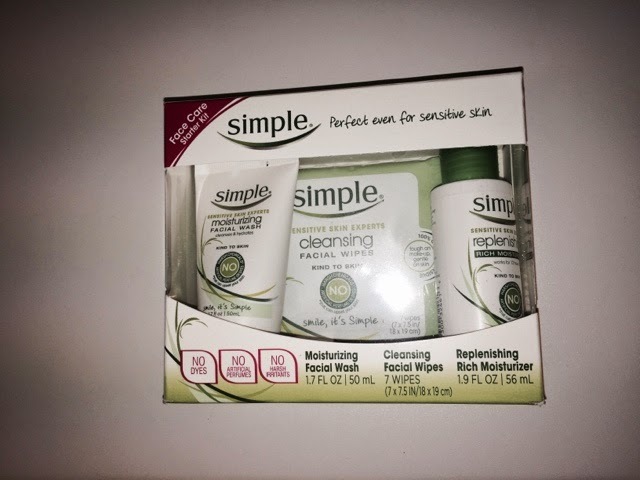 Have you ever tried products from Simple?